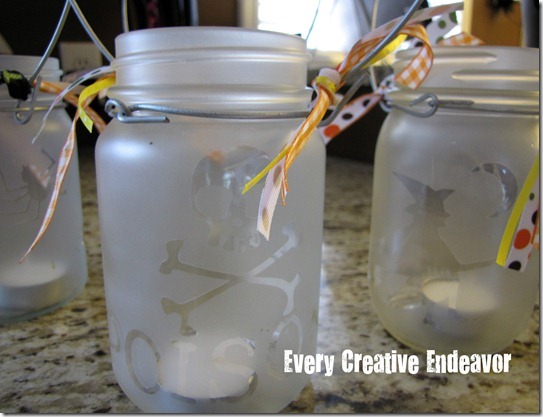 Amanda turned mason jars into these gorgeous frosted glass lanterns. These spooky luminaries are a perfect way to light up your walkway for the trick or treaters this Halloween. You can check out her tutorial over on Every Creative Endeavor. Oh my goodness! Thank you so much for the feature! It was quite the surprise and I greatly appreciate it! You are very sweet.